If spreading oneself thin should be a very real risk for most artists, it doesn’t seem to be in the least a concern for self-professed music activist Philippe Petit, who, in recent years, has swapped his role as head of French imprint Bip-Hop for a much more active mandate as a musician, and has since collaborated with a great number of people on extremely diverse projects. He’s headed the wonderful Strings Of Consciousness collective, an ensemble counting up to fourteen musicians, with whom he has released two albums, including a collaboration with Angel released last year on Important Records, and a third one counting a handful of original pieces and remixes by the likes of Mira Calix, Rothko, Scanner, Kammerflimmer Kollektief or Leafcutter John, and has been involved in projects with Lydia Lunch or James Johnston. 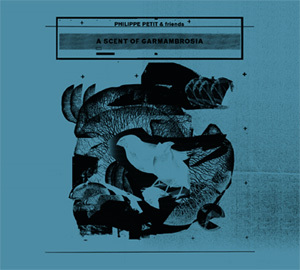 Three albums have materialised on various labels in recent months, two published as Philippe Petit & Friends, and featuring such collaborators as Graham Massey, playing bass clarinet, Bela Emerson, Jérome Paressant, Alexander Bruce or Raphaelle Raniaudo, while the third is a collaboration with Italian multi-media artist and composer Pietro Riparbelli, here operating under his K11 guise. With each of these three records, Petit embarks on a very unique journey, spanning experimental jazz (Silk-Screened, Trace Recordings), avant-garde composition (A Scent Of Garmambrosia, Aagoo Records) or dark electro-acoustic ambient (The Haunting Triptych, Boring Machines), yet there is a common thread linking all three records which irremediably pulls them together. Petit’s collaborators contribute a wealth of acoustic and electric sounds, which he processes and enhances with field recordings, electronics and turntables. This exploratory work finds interesting resonances in both collective works, whether it is through the jazz abstraction expressed on Silk-Screened or the dissonances and consonances of A Scent Of Garmambrosia. The instruments at the core of the two records are often very different. On the former, the focus is primarily on woodwinds and brass instruments (soprano and bass clarinet, saxophone, trumpet), which are moulded and woven into the fabric of each of the seven pieces and are further tinted by brushes of piano, bass, guitars or percussions, while on the latter, Petit works from a much more restraint set as violins and cello taking predominance, although The Nuptial Flights Of Fireflies and Nights Elves Jukebox are entirely built from trumpet textures, provided by Strings Of Consciousness collaborator Andy Diagram. Both albums continuously go from peaceful pastoral moments to much more angular sequences. 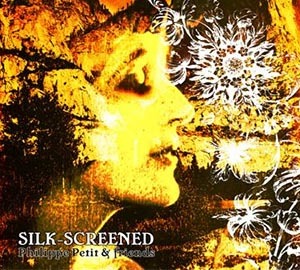 This never quite reaches the same abrasive level on Garmambrosia as it does on Silk-Screened, especially on the prog-noise epic A Swirling Mix Of Dystopia, where trumpet, guitars, bass and drums are caught in a powerful sonic maelstrom, or on the latter section of Blossoming Krokus as all instruments and sound sources are relentlessly blended together until none are properly discernible anymore. 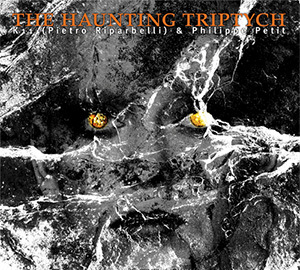 The Haunting Triptych is an even denser piece of work. Over the course of its three tracks, ranging from just under fourteen to just over eighteen minutes, the pair carve extremely rich progressive dark ambient drones and textured soundscapes from radio signals, field recordings, electronics, processed acoustics, turntables and glass manipulations. From the sombre isolationist tones of this record emerge moments of glacial beauty. Twelve minutes into Chapter 1: Residual Spookiness, the haunting toll of treated brass rises from a cloud of distortions and noise to hover ominously over the rest of the piece. The muffled calls of a distant choir on Chapter 2: Shadow Creatures resonate eerily over the first half of the piece, and the feeling never quite goes away, even when they progressively become drowned in distortions and interferences. Ghostly voices can also occasionally be heard piercing through the gloom of Chapter 3: Doppleganger Presence, but it is the more obvious stabs of unidentified noises peppered through the whole piece, which could be everything and anything from rewinding tapes or amplified bat calls to failing computers or paranormal manifestations, which never cease to captivate and intrigue. The heavy atmosphere weighting down on the whole album rarely lifts up for long as Petit and Riparbelli submit their audience to a particularly chilling sonic assault. Despite the very different contexts within which these records evolve, Philippe Petit delivers three magnificent pieces of work, rich with the sound of his various collaborators yet undeniable the fruit of his labour. After years spend behind the scenes, Petit is now proving a fascinating sound artist with a vision so great that he is likely to never fail to surprise.